Do you have sufficient coverage for the harsh winter conditions? In the winter, we have to cover ourselves up entirely with layers of clothing to keep us warm. The more coverage, the warmer we are. The weather creates a need for preparedness. Winter weather also creates a need for more coverage when it comes to insurance, as well. The more coverage, the less stress we have. The intense temperatures and extreme weather conditions create more of a risk for our property. The cold weather should motivate you to check with your insurance agent to see if your coverage is adequate. Make sure your coverage is sufficient on your automobile policy. While this is important no matter what time of the year it is, it becomes especially essential when the weather is bad. Accidents are much more likely to happen in icy conditions. If you do not have adequate insurance coverage, driving in the snow can be a major risk to both you and the other drivers around you. With minimum coverage limits, it would be in your best interest to avoid driving in the snow/ice.The risk is much too high–putting your assets, and even your life, at risk. It is always a great idea to contact your insurance agent to ask about adjusting your coverage limits, or verify that you have sufficient coverages, to bring you peace of mind when the weather is bad. You could also ask about adding roadside assistance coverage to your policy. Refresh your memory on what your home insurance policy will cover. During the winter, your home is also at risk for damage, mostly water damage. Again, it’s important to contact your insurance agent to make sure your property is adequately covered. For example, if you had any home renovations before winter, your policy may not be updated to cover these new renovations. Make sure to tell your insurance agent if you have made any renovations to the home. To prevent water damage in your home, there are many steps you can take. You can read prevention tips here. 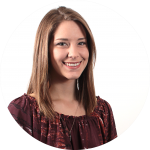 *insert winter water damage tips link* Avoid frozen pipes and water damage. It’s important to keep in mind that there are some things that your homeowners insurance specifically excludes from the policy. In other words, damages that the homeowners policy excludes will have to be paid for out-of-pocket. For example, flooding is excluded from homeowners policies. Flooding can happen in the wintertime if there is a change in temperature, resulting in the melting of excessive amounts of snow. However, there is a separate policy you may be able to purchase specifically for flood coverage. Your insurance company may also decline pay out for any claim that happened as a direct result of the homeowner’s negligence. You can read more about this here. This can be avoided by following the tips mentioned above. 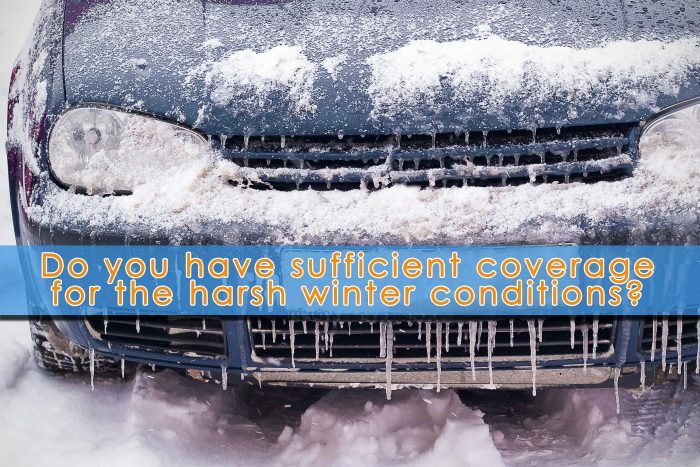 This winter, ensure your insurance coverage is sufficient for the harsh conditions.